Our pets count on us to make good food choices for them when we want to try a new brand. Thankfully, pet food reviews on the Internet are everywhere to help us decide. The only problem is, there are so many, researching food is overwhelming. Who do you believe? Where are the most trustworthy sources for the “best” dog and cat food? Today we will share some places to begin your research. Last month the 2019 Tripawds Nutrition Survey revealed that most of us feed our dogs and cats a commercial kibble diet. It also showed that pet food reviews on the Internet and other nutrition articles have slightly more influence than foods that our veterinarian recommends. That kinda makes sense, since we interact with the Internet far more than our veterinarian. But how do we know the pet food research we are reading is unbiased, accurate and something our vets would approve of? Here are some steps all of us can take when looking for a new pet food. Forget the bells, whistles and cute pet photos on a food reviews website. The first place to check out is the “About” page. You want to know if the humans in charge have any kind of science-based background. Are they smarter than you or me? Can they interpret pet food ingredients labels better than we can? Created by Lisa A. Pierson DVM, a veterinarian with a “keen interest in internal medicine and nutrition.” Dr. Pierson doesn’t make brand recommendations, but pulls no punches in sharing her suggestions for ideal diet types for cats no matter the age, life stage or medical condition of the cat. Every Board Certified Veterinary Nutritionist™ starts their education with the ACVN. The organization’s website won’t make brand recommendations, but they have a large Pet Food Nutrition Resources page for pet parents listing various pet nutrition websites your vet would approve of. Next, If You Can’t Find a Vet in Charge, Ask Who is Running The Show. Most pet food review websites are run by pet parents with a passion for nutrition, but no official pet nutrition or veterinary credentials. 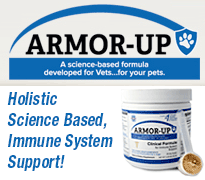 Most websites are filled with advertising from pet food companies. Which leads you to wonder who’s paying the bills. Even the “Pet Food Institute” pet nutrition resource endorsed by the ACVN is sponsored by all of the major pet food companies. Can we trust them to provide honest information? That’s a decision each of us has to make for ourselves. Yet Another Cat Food Guide is a website founded by a self-described science and math nerd who “who’s been known to check out veterinary textbooks from the library for fun.” We wish they had more rock solid credentials, but the ad-free blog is one of the best resources we found to research cat food brands. The Cornucopia Institute Pet Food Guide is a not-for-profit organization that “engages in educational activities supporting the ecological principles and economic wisdom underlying sustainable and organic agriculture.” Their ad-free pet food brands comparison chart is easy to decipher. When we consider new dog foods for our Tripawds Spokesdog Wyatt Ray, we look up the food’s ranking with two reputable resources: Dog Food Advisor and Whole Dog Journal. The two are considered credible, unbiased resources because like those featured above, neither accepts compensation from pet food companies and both utilize the expertise of veterinary credentialed reviewers. 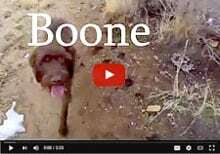 Whole Dog Journal is another unbiased pet food review, ad-free website you can trust. WDJ says they “are 100 percent subscriber-supported; we do not and will never carry advertising.” Their large pool of trusted veterinary industry experts produce unbiased, respected natural care-oriented reviews about all things dog, including pet food reviews like the Annual Approved Dry Dog Food List. 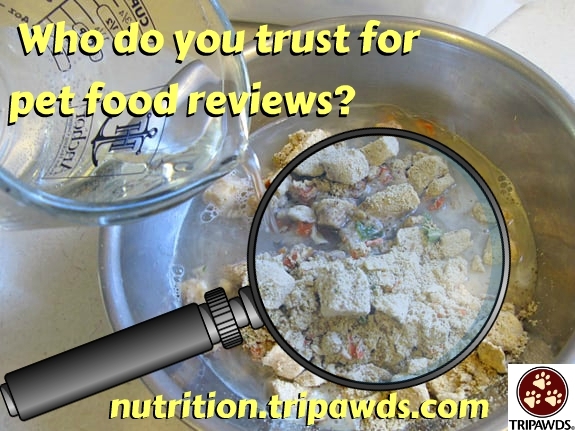 Do you have favorite pet food review websites that you trust? Share what you know in the comments below, or in our Tripawds Discussion Forums Eating Healthy Topic. Let’s all learn how to feed our Tripawd heroes the best food on the planet! This is a great post. Thanks! Glad to see Whole Dog Journal as a recommendation. I’ve used them for many years as a go to resource on any range of subjects. I really like how they include so many “alternative ” and natural therapies. At first some may seem a little “off the grid” so to speak, and then a year later,theyve6 become acceptabl6 in a big mainstream way. I also use Dog Food Advisor as a resource and very reliable when it comes to finding quality food. Good to see some inormation that focuses on kitty quay nutrition too. You are so welcome, glad you enjoyed it. Isn’t it funny how WDJ is always on the edge of what becomes mainstream later on? I see that too. 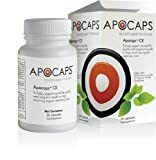 It was SO hard to find resources as reputable as Dog Food Advisor for our kitty friends. Looks like DFA has reserved “Cat Food Advisor” as a website but no action there yet. I hope he starts that one soon! I didn’t agree with everything Dr. Pierson said, but she sold me on switching to canned cat food only. Although I think I’ll keep some dry food on hand to use as treats. If anyone is curious, I buy Nulo brand (wet and dry). Thanks Jet, that means a lot coming from a Trikitty household. Glad you found Dr. P’s information applicable and useful to your own situation. And I agree, dry food as treats can be quite useful. I’m glad Nulo is working for you! I may check it out for Wyatt, I think they make a dog version.